Gluten is a protein found in wheat and similar products and is responsible for helping dough rise and give it it's chewy bite. Lately, the trendy thing to do is to say NO to gluten, but studies are showing that unless you have Celiac's Disease, which is an autoimmune disorder wherein gluten actually destroys the small intestine, or are gluten-intolerant, then a gluten-free diet is completely unnecessary. 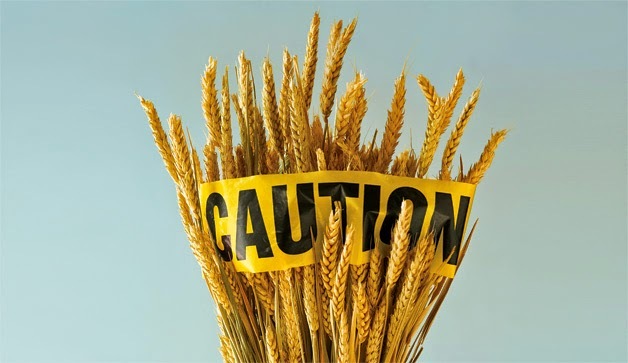 Symptoms for Celiac's Disease include pain and discomfort, chronic fatigue, Diarrhea or constipation and Anemia. So why are people buying into the gluten-free lifestyle? Many brands have jumped on this bandwagon and have started to advertise their products as gluten-free, giving people who don't really read about it the false impression that it is a health food and therefore promotes weight loss. Although there is nothing wrong with wanting to go healthier, in fact I'm all for it, make sure you read up on what you are planning to get into, and also ask your doctor if it would be good for you.